A Thorne choir has hit the high notes to raise £200 for our Doncaster’s hospice. The Thorne and District Male Voice Choir headed to Sainsbury’s supermarket, Thorne, for their final performance of 2017 to raise the cash – and handed it over to our St John’s Hospice at Balby this week. 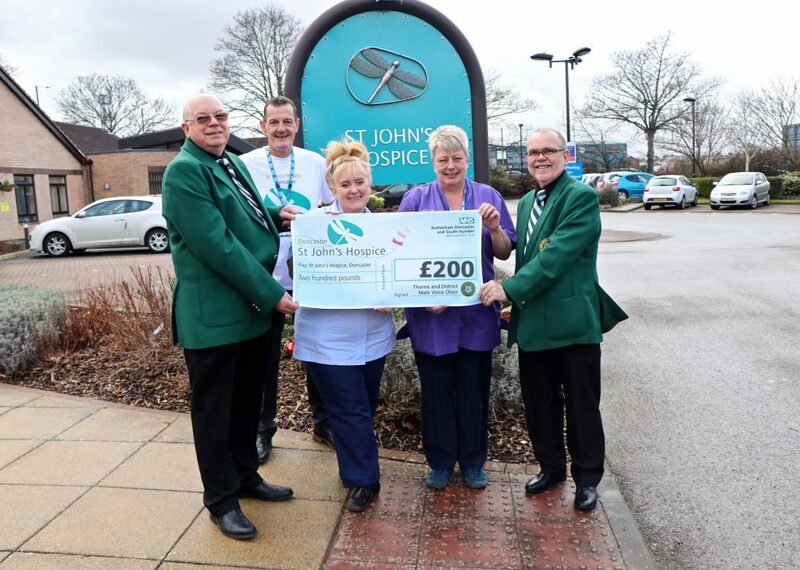 Pictured left to right is Dave Cannon, of the choir, Chris Smith of the hospice and far right Eddie Ingamells, of the choir, together with hospice staff.